Home News Whose Head on the Note? Whose Head on the Note? 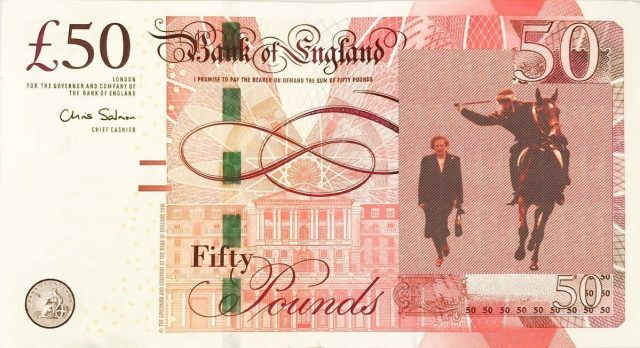 When the Governor of the Bank of England Mark Carney announced there was to be a new £50 note to replace the current note and that it would feature a scientist there was a petition in favour of Margaret Thatcher to be included on the shortlist. The criteria for anybody to be included on a Bank of England note, apart from the Queen, is that they must be dead. Certainly, she qualifies by virtue of being dead, but as for the main qualification of a being a prominent British scientist, she lacks credibility. It is not disputed that she did indeed graduate from Oxford University with a science degree. However, her activities in the world of science post-Oxford were limited to four years working as an industrial chemist for British Xylonlite Plastics and then as a food research scientist at J Lyons. She is allegedly credited with being part of the team that invented Mr. Whippy Ice Cream. However Mr. Whippy style soft ice cream had originated in the USA at least a decade before Margaret Thatcher was employed by J Lyons. The J Lyons connection was their working with US Ice Cream company Mr. Softee and operating franchises in the UK under that name. Details of Thatchers work at J Lyons are very limited she allegedly worked on the quality of cake and pie fillings as well as ice cream and researched saponification (soap making). Even before she left Oxford University she was more interested in a career in politics than pursuing a career in science. Although she did briefly work as described above, firstly an industrial scientist and then as a food research scientist, but this was merely a means to an end to finance her political ambitions of a full time career in politics. So who should be on the shortlist to feature on the new £50 note? The popular choices are Stephen Hawking one of if not the most eminent physicists in living memory. Another popular candidate would be Alan Turing; pioneer of theoretical computer science and artificial intelligence and wartime codebreaker. If he were to be the face of the new £50 note it would be a posthumous riposte for the disgraceful conviction for homosexuality in 1952 and the lengths the state went to to “cure” him of his homosexuality. He died two years later apparently committing suicide although no suicide note was ever found. So Margaret Thatcher is not to be remembered for a scientific career, but she is most certainly remembered if not loathed by many for her role in the miners dispute of 1984 to 1985. The strike which began on 6th March 1984 was prepared for by Thatcher and her cabinet partly in revenge for the downfall of the Government of Edward Heath who called an election in 1974 with his slogan of “Who governs Britain?” resulting in his administration being removed from office. Thatcher and her cabinet had planned to crush the miners and the unions following the strike of February 1981 and never allow them to hold her Government to ransom again as they had with the Government of Ted Heath 10 years earlier in 1974. She stockpiled coal supplies and then announced the pit closures in the full knowledge it would precipitate strike action. She used the Police (some of them were willing participants) as her shock troops with her policy to destroy the miners and to lay waste to their communities, with what was effectively her scorched earth policy. The strike lasted for a year and at the end of the dispute the miners who had effectively been starved out returned to work after a vote of 98 – 91 in favour of calling off the dispute, with their heads held high behind their banners and bands. Further pit closures were announced in the years following the bitter year long dispute. Plans were made in secret to purchase land next to power stations to stockpile coal supplies to combat future strikes. Thatcher had been forced to accede to the miners pay demands in 1981 because she was acutely aware that her Government was not in a position to engage with the NUM in a protracted dispute. She wasn’t prepared to be placed in such a position again so her plans for future industrial conflicts were put in motion. The catalyst for the miners dispute of 1984 – 85 was the unannounced immediate closure of Cottonwood Colliery and the closure of 5 other pits in March 1984 where no proper review had taken place. These strikes had the support of the National Union of Mineworkers (NUM), they requested other areas to support those affected pits. 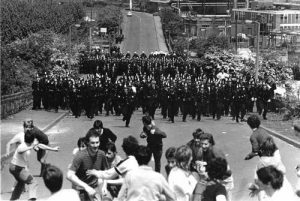 Unlike the earlier dispute in 1981, the government were prepared for the fight and used all the resources of the state at their disposal; MI5, Special Branch, GCHQ, Media (BBC) and the Police who were drafted in from all areas of the country to the mining communities and coalfields to become Thatchers shock troops in the fight to break the NUM in particular and the trade union movement in general. Thatcher had never forgiven the mine workers and the NUM for the strikes of 1972 and 1974 which had ultimately led to the downfall of Ted Heaths government and was determined to exact revenge. The strike lasted from 6th March 1984 to 3rd March 1985, events were shown nightly on the news bulletins. The most infamous event was the Police operation at Orgeave near Rotherham in South Yorkshire on June 18th, 1984. Miners had gathered at Orgreave to picket lorry drivers who were transporting coke to the steel industry. They were met by Police Officers from across the country who were under the command of South Yorkshire Police, (the same force and senior officers who were involved in the Hillsborough tragedy). The Police ranks included 42 mounted Police Officers and units who the first in the UK to use short shields and truncheons. The Police tactical manual at the time, stated: “it was to incapacitate demonstrators”. The BBC news footage of the time showed miners throwing missiles at the Police, followed by mounted Police charging at the miners and officers chasing miners and clearly seen hitting them over the head with truncheons. The miners alleged that the Police operation had been preplanned and complained that the BBC news footage had been reversed to portray the miners throwing missiles before the Police charge rather than in a retaliatory response to the unprovoked attack by the Police. The Police arrested 95 miners and charged them with riot an offence which carried a potential life sentence. The charges were withdrawn in July 1985 after it was established that officers, including senior command officers had colluded in fabricating evidence against the miners and all 95 were acquitted. An IPCC report into what became known as the Battle of Orgreave concluded that the BBC had indeed reversed the footage of the days events and that a team of detectives had dictated the opening and closing paragraphs of at least 40 junior officers statements. The BBC have never officially accepted the IPCC report. It is worth noting that this is the same Police force South Yorkshire who were responsible for the policing of this particular incident and who were also implicated in the cover up after the Hillsborough disaster. Thatcher had made it clear at the time that as far as she was concerned the miners were “the enemy within” and were no more than outlaws and brought the whole of the state apparatus to bear, in her governments scorched earth assault on the mining communities. 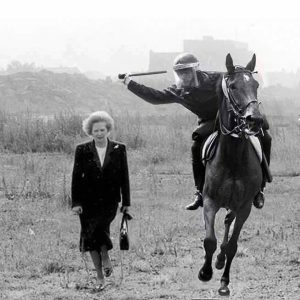 Did she give the orders for the Police to attack the miners that day or was Peter Wright the Chief Constable at the time in South Yorkshire given the green light by Thatcher. A generation has passed since the strike but it is clear that the real enemy within was namely Thatcher and her government of the day along with the Police and state security services who were all unleashed against the miners, their families and communities who are still suffering today through lack of real and proper investment to regenerate the coalfields after their closure. A Public Enquiry is needed to establish the truth of events that day in South Yorkshire, but so far calls for an enquiry have been resisted. Sarah Green who is deputy chair of the IPCC is on record as saying that; “these are events from more than 30 years ago and I have considered the impact such a passage of time could have on an IPCC investigation and possible outcomes”. What she really meant to say was; ‘It was a long time ago and it’s not worth investigating now as it would be too much trouble’. On October 31st, 2016 Amber Rudd who was Home Secretary having succeeded Theresa May refused to grant a public inquiry or independent review into the events at Orgreave arrogantly stating “very few lessons for the policing system of today could be learned from any review of events 30 years ago”. What she really meant was that there was no point in exposing Margaret Thatchers complicity in the strike and even more importantly the criminal activities of the South Yorkshire Police Force which have gone unpunished for over 34 years. 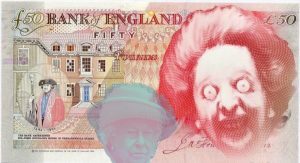 In conclusion, Margaret Thatcher should not be commemorated as a prominent British Scientist on the new Bank of England £50 note but remembered more as a calculating (some say corrupt) politician who made it her political mission to take on the miners in particular and the unions in general and crush them. Thatcher was an evil person, and continued to destroy lives and trades unions – she broke the National Union of Seamen in the same way. NO WAY should she appear on our currency!